How to get a car loan with no credit is easy with Yes Plan car loans in Edmonton and Alberta. We offer a better solution when it comes to getting a loan with no credit in Alberta. At Yes Plan Financial, a lack of credit history, or no credit, is not the same as a bad credit history. This is the main reason why at Yes Plan it is easier to get a car loan with no credit. Given the interest rates most car dealerships charge applicants with no credit, it is easy to see they view bad credit the same as no credit. If you are wondering how to get a car loan with no credit, look no further than Yes Plan Financial. We specialize in getting customers with little or no credit competitive and affordable car loans. Buying a car should not be a hassle just because you have no credit. When you are looking for a car, having a pre-approved loan increases your bargaining leverage. When financing is not an issue, you can focus more on negotiating a better price. At Yes Plan Financial, we are able to secure a car loan for most of our customers, regardless of credit standing, including no credit. Our close relationship with our lenders allows us to get a more competitive rate for you. This is why so many Alberta car buyers rely on Yes Plan Financial for no credit car loans. Whether this is your first car, your first loan or both, we will work hard to provide quick and courteous service with every car loan. It is not our goal to deny you a loan, our goal is to put you behind the wheel of your ideal car with a Yes Plan no credit car loan. Yes Plan Financial is located in Edmonton, Alberta and finances customers in Red Deer, Fort Saskatchewan, Leduc, Lloydminster, Camrose, Drayton Valley, St. Albert, Spruce Grove, Grande Prairie, Fort McMurray and other towns and cities throughout Alberta. We are only interested in financing safe, reliable, high quality cars. If you are having trouble finding the right car we can source, or find that perfect vehicle through our automotive network. We are on your side when it comes to getting a car because the better the car, the better the odds of a successful car loan. We will help you build no credit history into great credit. At Yes Plan we want repeat customers and odds are they will get even lower interest rates with their next car loan. It does not take a rocket scientist to realize that people buy several vehicles in a life time. We want your business and many of our repeat customers started by getting a car loan with no credit. Ready to turn No Credit into Great Credit? Avoid predatory dealerships and lenders that take advantage of short or no credit history with high interest rates and ridiculous terms. When you get a car with Yes Plan Financial, you get a great car and car loan that fits your needs at a fair rate. 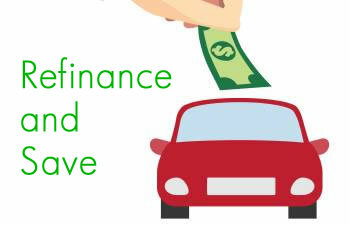 The solution for how to get a car loan with no credit history is simply to give us a call. You can also get things rolling with our fast no obligation application to get a car loan with no credit. I authorize Yes Plan Financial to send me a response and future messages, in compliance with CASL consent in our Privacy Statement.